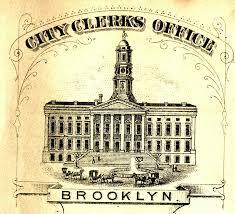 A city clerk is one of the oldest public service positions, dating back to Ancient Greece. In the United States, the office of city clerk was one of the first to be established when early colonists set up local governments. Today, a city clerk is an elected or appointed senior official who is responsible for many administrative functions that relate to maintaining the public records of a municipality. In most cities, overseeing fiscal operations is also part of a city clerk’s job description. Although the power and responsibility of a city clerk varies by location, the office of the city clerk typically serves the mayor, the city manager, the city council, and all other administrative departments of city government. Depending on the structure of a city’s government, the position may include the roles of accountant, public relations specialist, office manager, purchasing agent, and customer service representative. In addition, many cities have recently made budget cuts that require the office of the city clerk to assume responsibilities previously performed by other city departments. This may include issuing zoning permits, vehicle stickers, and other types of licenses; maintaining a record of planning commission actions; accepting passport applications on behalf of the US Department of State; and serving as a registrar of vital statistics. In larger cities like Chicago, the city clerk is the second highest-ranking government official after the mayor. The Chicago city clerk’s office has an operating budget of $8 million and is responsible for approximately $100 million in city revenues. In Pittsburgh, the office of the city clerk is called the “hub of government” and serves as a direct link between city residents and their government. An analogy is often drawn between the role of city clerk in municipal government and the role of the US Secretary of State in the federal government. Candidates for the position of city clerk must be able to manage large organizations and must be knowledgeable in the areas of public policy, finance, urban planning, transportation, emergency management, and community development. They also must have a solid foundation in ethics, leadership, and law. Increasingly, the preferred background for city clerks is a Master of Public Administration (MPA) and several years of experience as a city department head or as a deputy city clerk or manager. According to the International City/County Management Association (ICMA), nearly 60 percent of those in the profession had an MPA, MBA, or other graduate degree in 2012.